Demonia's Fury 110 Gothic Ankle Boot is a gothic winklepicker boot in vegan leather. 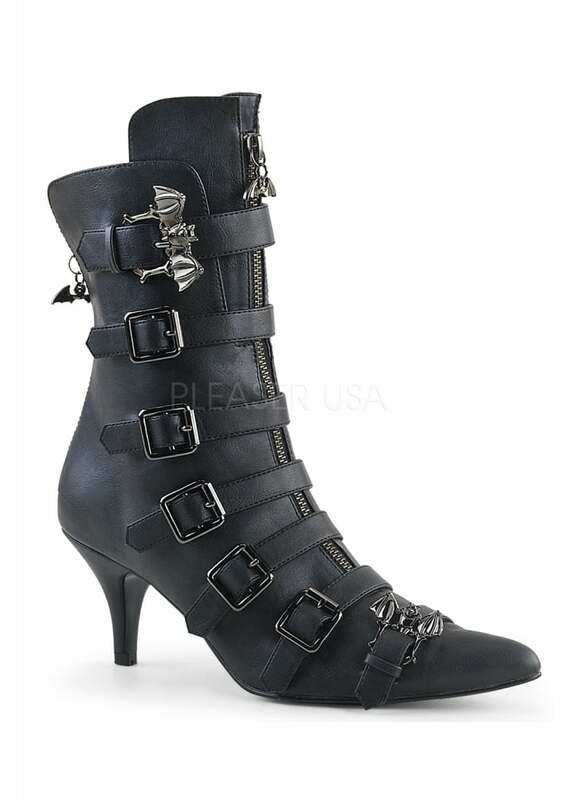 The alternative boot has afront zip fastening with ornamental straps featuring bat buckles. The boot also has a cute kitten heel.